A Different Perspective: The Coyne Helicopter Encounter - Explained? By looking at both these articles, I think you’ll get a fairly accurate picture of both his theory and my comments on it. I thought his theory interesting and certainly does cover most of the information about the case, though he seems to lean heavily on interviews conducted with First Lieutenant Arrigo Jezzi and seems to reject those made by Captain Lawrence J. Coyne who was both the senior officer present and the pilot in command of the aircraft. The point here, however, is something a little different. While I believe that I came into this as an almost neutral observer, ready to examine the facts, I also realize that my thinking might be colored by my personal experiences. On the other hand, I think Parabunk might suffer from the same sort of narrowed vision. To that end, I thought having the readers here take a look at both arguments and append their comments to this post, we might move the discussion forward. I believe that a good mix of skeptics and believers visit here on a regular basis so that we might see some interesting comments. I think we can keep it cordial (and I will delete anything that doesn’t fit into that ideal), which it should be, and maybe provide some interesting insights into the case and possible avenues for further research. One of the first places to start would be the “Disposition Form” dated 23 November 1973 because it provides the names of organizations that might have follow up documents that could shed some light on the subject. It also mentions a near midair collision which seem to require an investigation by the FAA, even if it was with a UFO. And, because it was created just a few weeks after the event, we have something that isn’t overly influenced by all the discussion of so many over the last forty some years. Let’s see if this does provide us with some sort of insight to the event with an eye to providing more information about it. "though he seems to lean heavily on interviews conducted with First Lieutenant Arrigo Jezzi and seems to reject those made by Captain Lawrence J. Coyne"
I want to clarify this. I don't think I'm favoring one over the another but actually considering all of them together, and taking into account how some of them contradict each other, and how Coyne specifically contradicts himself with his various accounts. It's from that combination that I'm trying to figure out which accounts are to be trusted and I have tried to explain my reasoning why I believe some of them are inaccurate, mostly based on their compatibility with the other witness testimonies. And not just those of the crew, but those on the ground as well. The way I see it, most of the accounts that have been written about the Coyne Incident, like many other similar incidents, have emphasized those witness accounts that have made a good story, and those have been the ones that have simply rejected some of the witness accounts. I believe you meant I rejected Coyne's statements of that climb happening in a few seconds and him describing and drawing the object as some kind of flying saucer. Coyne himself contradicted both of those. He described how the helicopter was still climbing after they had watched the light move to the horizon (which was estimated to have taken a couple of minutes). Later he told Klass an F-100 fighter would have been a logical explanation and he even asked Mansfield if any of those were in the air. He also only described seeing in detail the areas close to those red and green lights, the rest of it being just gray. So it's obvious he didn't see it that well and wasn't that sure of the accuracy of his drawing if he still considered a fighter jet as an explanation. So no matter what you believe, you just have to reject, or at least adjust some of his self-contradicting statements. On those occasions, I haven't just chosen the ones that I like, but those that are most compatible with the other accounts. I believe that on those occasions the choices are rather obvious, as the rest of the witness statements as well as some logical conclusions strongly lean towards one direction. Why would anyone 41 years after the event try to explain the incident from the position of an armchair quarterback..... second guessing the aviators who were witnesses and active participants to the event that took place in 1973? ?Eyewitness testimony is usually a good form of evidence. This incident was witnessed both in the air and on the ground. Why would someone question the events that took place in 1973 over 41 years later from a position as an armchair quarterback second guessing the eyewitness testimony of the trained aviators and the eyewitnesses on the ground? I don't get it. On Apr. 3rd I left a post at the Paracast forums for "Realm" who is the Parabunk author. Please tell us how you propose that a KC 97 with a flying boom will refuel a helicopter? Drive it down through the whirling blades? Helicopters are refueled by probe and drogue. The refueling picture in your "article" shows A-7 jet aircraft being refueled in daylight by flying boom, not Huey helos at night. Plus your source for tanker operations is from Nov. 2000 for C 130s, not for KC 97s that retired in the US in the late '70s. And you haven't shown us any night helicopter refueling operations. Get busy. . .
Realm has evidently seriously modified his Parabunk article since Apr. 3rd. Personally I wouldn't care if the Coyne case was solved. But it bothers me for someone to claim they've solved a case when they make inconceivable claims about military refueling operations at night. What? A KC 97 (or is it now a KC 130?) flies around at night at 3,000 ft. full of JP at around 100 knts looking for random aircraft to refuel? Realm earlier claimed that a dome on top of the KC 97 made it clear to him that that was the same dome of the object reported by the Coyne crew. If so, then I wonder why the crew didn't notice that much larger, actually giant B-29 shaped Boeing tail? Anyway, I will leave it to you KR, to look into this if you like. From reading Realm's posts at the Paracast it seems clear to me that the fellow has no military experience to test his theories by, and thus suffers from a vast "realm" of "unknown unknowns". I'm no expert at any of this, but I was in a USMC jet squadron from the mid '70's to the early '80's and there actually were KC 97's at that same base. Seems to me those big birds would have a hard time flying at 100 knts loaded with JP, but as I said elsewhere, don't quote me on that. A different question about the Coyne case that you might want to look into. I have no idea if it there is any merit. But evidently Jezzi was flying and would have been focused on instruments, which I would guess were red-lit for night flying. If his head had been down in the instruments for a while, would that affect they way he saw colors immedidiately after looking up? As far as I know, Jezzi is the only one who did not mention a green tinge to the light. I wondered if having just been looking at red instruments for a while would affect how he saw other colors just after looking up. Maybe no at all, but I don't know. Back (several decades ago) when I was an undergraduate in Physics I remember having several lectures on the scientific method. That's where I was introduced to the concept of the "Just So" story. "Just So" stories were written by Rudyard Kipling as bedtime stories for his daughter to help her go to sleep. They got their name because they had to be told "just so", with no alterations, otherwise his daughter would become upset, and not go to sleep. The important point, however, was that they were highly complex and detailed fictional stories about things like "How the Leopard Got His Spots", or "How the Camel Got his Humps", etc. The lesson was that-as a scientist-if you found yourself making up all kinds of details (or "conjecturing", if you prefer) to explain some observation or another, you were probably telling a "Just So" story. In other words, you were making up fictional bedtime stories. A general rule, is that you were allowed one conjecture per explanation. First, "Realm" makes up the (unsupported) conjecture that an unreported aircraft (probably a C-130 variant) was operating in the airspace around Mansfield Airport on the night in question. Second, he makes up the (unsupported) conjecture that said airplane rendezvoused with the helicopter by entering into a standard refueling flight pattern without having established radio contact with either the helicopter or the airspace controlling authority (Mansfield Tower). Third, he makes up the (unsupported) conjecture that even though all the witnesses (in the helicopter and on the ground) described a classic "UFO" shape (not a conventional aircraft shape) they were all mistaken and mistaken in just the same way as to mistake a C-130 wing as a UFO. Fourth, he makes up the (unsupported) conjecture that the wingtip vortices of the departing C-130 were just exactly what was needed to produce the unexplained altitude gain of the helicopter. There are actually additional made up conjectures that could be mentioned, but this is enough to establish that "Realm" has clearly exceeded his allotment of conjectures and has gone way off in the direction of a "Just So" story. I'm quite happy that those who have actually read what I have written tend to take that explanation seriously, and those who don't dismiss it without reading. I would be pretty worried if it was the other way around. Question about that "Disposition Form": That's an army form, right? Did the FAA even receive it? Sturrock's book mentions that "Even after the newspaper account, there was no official interest expressed in the matter, so Coyne filled out reports (reference to Figure 29-4, which is the Disposition Form) a month later in order that the incident be officially on record." There's no indication he would have assumed it would lead to an investigation, only that he wanted to have it on record. First of all thank you for putting forward such an interesting question for consideration. At first sight the refuelling tanker hypothesis appears to be a possibility worth serious consideration. A priori the possibility of a ‘near miss’ with another aircraft is much greater than the possibility of an actual UFO encounter. I do have some concerns however, which I would like to raise more as questions or tentative opinions at this stage as, like any other subject, the issues under consideration are quite technical and I (as always) stand to be corrected by experts in the relevant areas. There seemed to me to a couple questions that could be investigated fairly straightforwardly concerning the refuelling tanker hypothesis. a) Does the pattern of behaviour actually correspond to typical AAR (air to air refuelling) practice? b) Would a wing / wake vortex be potentially strong / large enough to lift a helicopter (that was trying to descend) by close to 2000 feet in approximately two minutes. As noted above the following answers to those questions are tentative at this stage. It appears to me that the pattern of behaviour is not typical of an AAR operation in two ways. In this case the ‘tanker’ approached the ‘receiver’. If I understand it correctly the usual procedure is the other way around with the ‘receiver’ aircraft approaching the tanker and taking up a position slightly below and behind the tanker (or off the wing tip, depending on the method of refuelling used) precisely to avoid wake turbulence. In this report Major Walgamott discusses the need (as of 1988) for the USAF to develop low level air to air refuelling (LAAR) and the various practicalities thereof. LAAR is defined in the report at refuelling below 10,000 feet altitude. There are certainly examples of LAAR before that time (the earliest I’ve found so far relates to tests by the British Fleet Air Arm using Sea Vixens as early as 1961 at altitudes as low at 500 feet. It sounds like LAAR was not normal practice in 1973, although potentially achievable. Are there any experts out there who might be able to add to this point / correct it? I wondered if a wake vortex could be powerful enough to lift a Huey by well over a 1000 feet? It is certainly possible, if the object reported was a tanker, that the helicopter could have passed into one of the wing / wake vortices, even from a position slightly below the altitude of the ‘tanker’ as the vortices drop under gravity and the ‘tanker’ could have begun to climb, changing relative angles involved. “…The control power required in the vertical, collective, axis to overcome the downdraught and updraught of the vortex tails can be as high as 15-20%...”. They go on to note that, on entry to the vortex the helicopter would experience an initial bump of around 0.3g. If I’m understanding this correctly, and assuming a 747 and Lynx are a reasonable approximation to the scenario at hand, then the helicopter, set to descend as fast as possible, should have continued to descend, even if it had got into the updraught part of the vortex, but at a reduced rate. Whilst at first sight interesting, the refuelling tanker hypothesis appears to fail both on the behaviour of the ‘tanker’ not conforming to typical AAR practice and quantitatively, in terms of the ability of a wake vortex to produce the observed ascent. Are there any complications or other issues that I haven’t considered here or have misunderstood that might change that tentative conclusion? More generally this is a really good idea for a post. Is it one worth considering for other ‘hard’ cases….? I checked that book again, and didn't remember that on the day following the incident, Coyne actually went to talk to "P.J. 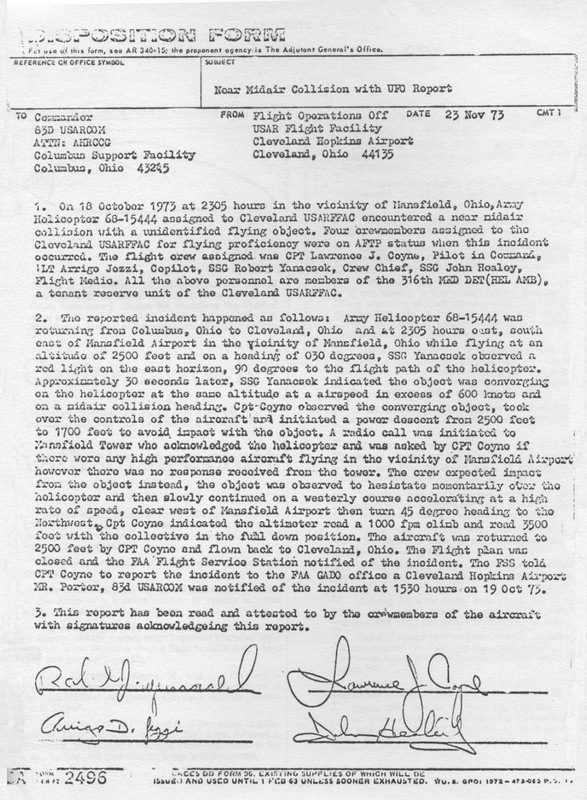 Vollmer, Federal Aviation Authority chief of operations at Hopkins Field, to find how and where to report the occurrence" and that "Vollmer could not suggest an official agency to which to report, so the matter rested until Coyne related the event to his cousin, a reporter for the Cleveland Plain Dealer." They didn't even know where to report it... Seems highly unlikely it was ever officially investigated. "If I understand it correctly the usual procedure is the other way around with the ‘receiver’ aircraft approaching the tanker"
That makes sense for fast planes, not with helicopters with maximum speeds close to the minimum speeds of tankers. It's the faster plane that needs to make the turns, and those NATO instructions that I quote make that explicit. That student report you linked to was primarily about refueling B-52s. "Eastman began by flying the H-3 behind the C-130 cargo ramp but quickly found out that because of the airplane’s tip vortices, the areas just aft of the vertical stabilizer and cargo ramp had a very strong downwash. Once in position in these areas, Eastman had a hard time controlling the H-3 and would enter a very quick descent. Sometimes the descent would reach 2000 feet per minute with very little control authority. After attempting this several times with the same results, Eastman decided to take a break. In order to collect his thoughts he moved the H-3 from directly aft of the C-130 to flying formation off of the left wing tip. Once in position on the wing tip, Eastman noticed that there was a significant power reduction for the H-3. For some reason it took roughly forty to fifty percent less power to maintain position when flying off of the wing than it did when flying directly behind the C-130." So they are powerful enough. And the situation is obviously different if a helicopter ends up to the vortexes of a plane further away than one that actually was right above it. So no, the explanation doesn't fail on either of those. My first question is wouldn't the helicopter crew have been expecting to be refueled mid-air and looking for the tanker? This isn't mentioned in the deposition. Surely these refueling activities don't take place as a total surprise to the receiving aircraft. Wouldn't these aircraft have been in communication with each other? My second question is would a refueling operation take place at such a low altitude? My reaction to Parabunk's explanation is, just as with the Exeter incident where an Air Force tanker explanation also was put forward by skeptics, an air-to-air refueling operation seems to be a mighty big stretch, at least to someone with my very limited knowledge of refueling operations. I'm not ruling out there's purely terrestrial explanations for both incidents, but to a civilian it seems it could be dangerous to both a tanker and anything below it to try to conduct refueling at such low altitudes (remember, in the Exeter incident both witnesses dove to the ground because they felt the object was coming directly at them at a very low altitude). Parabunk's explanation leaves me with questions and no satisfactory answers. Maybe the Coyne object can never be satisfactorily explained away and will always be an unknown. Even for someone like me who has an inborn skeptical point of view, life is just like that sometimes. "My first question is wouldn't the helicopter crew have been expecting to be refueled mid-air and looking for the tanker?" You seem to have misunderstood the basic premise. The helicopter crew didn't expect that, and their helicopter wasn't even capable of being refueled in the air. The tanker crew most likely mistook them as someone else, and approached wrong target. "About 1804 m.s.t., on November 12, 1974, a United States Air Force (USAF) F-111A 77-055, and a Montana Power Company, Rockwell Turbo Comnder, Model 690A, N40MP, collided in flight near Kingston, Utah. The F-111A was the lead aircraft in a formation of two F-111A's. The formation was attempting a rendezvous with a USAF KC-135 for night air refueling training when the planes collided. The pilot of N40MP, the sole occupant, was killed. The two crewmembers of the F-111A ejected successfully from their aircraft. Both aircraft were destroyed by the collision, the postcollision fire, and impact with the ground. The National Transportation Safety Board determines that the probable cause of this accident was the F-111A pilot's misidentification of the Turbo Comnder as a refueling tanker with which he intended to rendezvous. 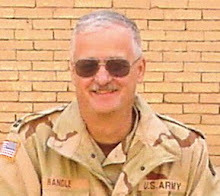 Contributing to the misidentification was his failure to use prescribed procedures and techniques during rendezvous with a tanker aircraft for refueling." "My second question is would a refueling operation take place at such a low altitude?" That helicopter was flying at its normal cruising altitude of 2500ft when the tanker made the decision to approach it. We can't judge their actions at that stage based on where Coyne eventually dived at the last minute. The defined refueling altitudes for tankers like HC/MC-130 also extend down to 1000ft. Sorry, Parabunk, but your hypothesis still seems to be a stretch. We would need to hear from the crew of the mythical tanker in order to have your explanation substantiated. You're drawing a conclusion based on an incident that happened subsequent to the Coyne encounter. That's hardly airtight reasoning. I'm satisfied that whatever the helicopter encountered was an unknown (and being an unknown doesn't automatically imply it was an alien spacecraft whose existence must be disproved). I don't think the incident demands far-fetched and contorted logic to refute an ET explanation because there's nothing about it that shows it was ET. That's a belief that's been projected on it (just as making it a tanker is). My discussion is over. I don't think the object was ET or a tanker. I believe it was a terrestrial unknown that we'll never have enough information to positively identify, especially so long after the incident took place. Kudos to you, anyway, for giving it a shot. Please have a great day, and hopefully where you are it's now finally Spring and you can get outside to enjoy it. A couple of things were suggested by the latest analysis of the case. One was that only Coyne saw an object while Jezzi saw only a light. But that seems to ignore the other two crew members on the aircraft. "Coyne described the object as cigar shaped, solid, metallic, with distinct edges, which blocked out the background stars. There was no train or trail or overall glow. Healey said it was a solid, oval, cigar. Yanacek described it as a solid domed metallic submarine. Jezzi described only a ball of intense light." This shows that the other members of the crew, with the exception of Jezzi who only reported a ball of light, saw something that would be considered solid, metallic, and with a dome on it. As I say, I’m not sure why some thought there was a delay, but it seems, based on what Coyne said, that it was sort of in the middle of the conversation. Coyne would attempt to follow up on this but according to what he said, the tower did not have a recording of neither his initial transmission nor the response by the tower which is something of a conundrum. Coyne claimed that the UFO had caused the helicopter’s radio to become inoperative for several minutes, making it impossible to contact airports at Cleveland, Columbus and Akron. My investigation indicated a more prosaic explanation: that at the helicopter’s then-low-altitude it was beyond line-of-sight range to these airports. I suggested that Coyne conduct an experiment during his next flight to Columbus—that near Mansfield he descend to the same low altitude and try to make radio contact with these same airports. Coyne ran such a test and later informed me that he was unable to reach any of the three airports, as I had predicted. I think, at this point, I’m not going to take sides on this point. Apparently both Klass and Zeidman communicated with Coyne, and both received responses from him. While it seems that Klass communicated through the mail, Zeidman was actually on scene. The two reports seem to be mutually exclusive, meaning that one or the other of these reporters, Klass or Zeidman, have somehow screwed up in their reporting (I have purposefully steered clear of labeling one or the other as a liar because there is always the possibility of a misunderstanding. Anyway, this failed communications claim has not been resolved. And for those keeping score at home, the idea that there might not be evidence is no excuse for not looking for it. 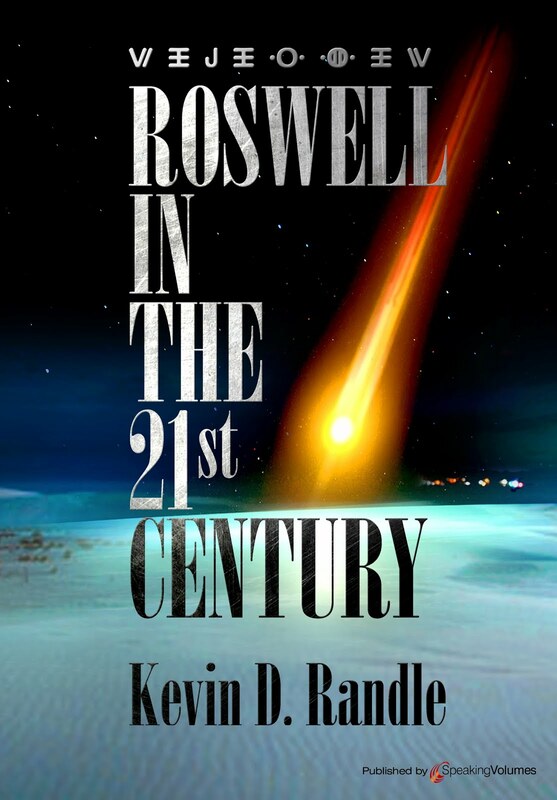 I once visited an ice house in Roswell looking for records from 1947 for the obvious reason. Ironically, they had no records from 1947 but did have them fr 1927 and 1928. Didn't do me any good, but, then, at least I looked. And, I would think that the FAA would be interested in what would be termed a near miss. Since the Disposition Form (which is a DoD document) had been created, they should have been some sort of follow up. Zeidman reported that all the high performance aircraft had landed prior to the sighting, so that might have been, and might be, a way of seeing if any of the tankers were airborne at the time. In terms of which aircraft approaches which you are correct - I've found that information now for helicopters. I do however think that the example you quote of Eastman's experience is very consistent with the results of the Padfield and Turner paper. Note he did not get pushed up to higher altitudes when in the updraught part of the vortex, but actually found he could maintain position with less power due to the additional uplift provided by the vortex. In terms of the downdraught directly behind the plane...this is a question for those with more knowledge than me....Am I right in thinking that one of the issues in this was that the helicopters of that time had to fly more or less at maximum speed and the tankers at quite close to stall speed? Would Eastman have been able to adjust the controls to offset the downdraught without loosing speed? I don't know but at first sight I wonder if that is what was going on there? technology finally reached the point where it was practical and affordable. In 1985 Air Force Captains Mike Damron and James “Pappy” Walters of the 20th Special Operations Squadron flew the first approved night vision goggle (NVG) air refueling using an HH-53H helicopter." Whilst I don't think the AAR hypothesis stands up to scrutiny there is something about the Coyne incident that worries me and a thought occurred to me that may be worth exploring further. At the moment this is just a very tentative idea that I will just mention to ask for any expert opinion or other lines of evidence on this. It needs checking out and that will take me some time, but I hope others will be in a better position to comment and perhaps rule it out immediately, so I can avoid wasting my time. The large gain in altitude reported is a puzzle. We do not see reports like that in the UFO literature - even in very high reliability cases involving a UFO flying over the top of an aircraft such as the Fukuoka 1948 case or the 1964 USS Gyatt case (one of the most important on record, in my opinion). What we do see quite a lot of is reports of electro-magnetic effects. I was thinking about this last night and just wonder if the gain in altitude could possibly have been illusory and related to EMI effects on the altimeter? I don't know, and it'll take a lot of digging to check this out, but if that is a possibility then the helicopter would still actually have been descending when Coyne adjusted the controls. Can an EMI effect linger for several minutes? Could the helicopter then have actually been climbing back towards 2500 feet as the effects on the altimeter wore off...? I worked a communications facility in Panama. We coordinated with the Dept. on pp. 113 and 114. I know this does not directly relate to the Coyne case. that this document exists or did exist. Here are a couple of points that seem relevant. An altimeter is not an electronic instrument (at least not on Hueys of that era). It is, basically, a barometer, that is, a mechanical device. And, it lags behind, meaning that, once you level off, it takes a few seconds for it to display the proper altitude. That might be relevant in thinking about the continued climb once that Coyne noticed the problem. The aircraft would have stopped climbing, but the altimeter would still show that the altitude was increasing... which is a long winded way of saying that the EM effect is not important here. And, I was wondering why the refueling aircraft didn't break off the attempt when it couldn't raise the helicopter on the radio. There has to be coordination between the two aircraft, but there was nothing said. Once the refueling aircraft was in the area and spotted what they thought was the helicopter, they should have attempted radio contact. This activity would have been coordinated long before the two aircraft were airborne, so it seems to be unlikely for the refueling aircraft to approach so close to the helicopter without radio contact between them... and even if the refueling aircraft couldn't raise the helicopter on the agreed on frequency, it could have used the guard frequency which all aircraft monitor. So, the refueling aircraft would make the call "on guard," which, BTW, should have been monitored by the tower. All this suggests that there was no attempted refueling and that the two aircraft would have been separated by a long distance. The crew of the refueling aircraft, unable to raise the crew of the helicopter would not have approached the helicopter. They would have stayed far away, in contact with their operations, explaining that the rendezvous had failed and they were returning to base. "This shows that the other members of the crew, with the exception of Jezzi who only reported a ball of light, saw something that would be considered solid, metallic, and with a dome on it." "It easily filled up the entire windshield. If I had been sitting in the front seat I probably wouldn't have been able to see anything but the aircraft"
"I never saw a body to it at all"
"I think as it approached me there was a white light. Yes, I think there was because it lit up the tail a little bit and gave definite proof, if you want to say, that it was something solid, something solid and metallic. It lit up the area around the light." "The edges were sharp, because it was an exceedingly clear night out, and the solid part of it blotted out the stars right behind it, and if it had been a dark, cloudy night I probably couldn't have told too well, but it blotted out the stars in an oval shape." "Fighters are just about the easiest things to refuel, with the exception of the F-117. At night, under lights out and comms out rules, you can barely make out the plane, much less its receptacle. The boom has a nozzle light that illuminates the area it is pointing at but by the time you see the light your almost touching the jet's inky-black skin. Some booms have even been confused as to which hole to stick the boom into at night and have bashed the F-117's opening for the forward FLIR turret causing damage to the fragile jet." Note how they also do that with comms out. The fuselage of a military tanker looks like a gray oval submarine or cigar, and looking from the below, the wings form a similar shape. At least Coyne seemed to take the latter between the lights as the body. Depending on the viewing angles, if one is the body, the other can plot against the sky as some sort of dome, and so can the shapes of the engines for example. Stars viewed from a moving aircraft are hardly the sort of background that would enable any precision observations of the form of unlit areas. As I said before, all witnesses were also primed to think saucers just a day before with that Walter Cronkite report, which is embedded to my blog. If you look at it at the 0:31 second mark, it shows a similar type of domed saucer that Coyne draw. Additionally the crew were not exactly independent witnesses, they no doubt talked what they saw while flying, and after that. If it would have been just a saucer or cylinder, why did he invent that strange asymmetric shape and that extension on the left? Did he actually see the tail of that plane? "Anyway, this failed communications claim has not been resolved." Zeidman: ...what do you attribute the radio malfunction? Was that an unusual event? Jezzi: In that unit, no. It happened time to time. Because our maintenance, our avionics, were not that good. Things like - you'd have poor transmission and then all of a sudden it came in, or it was garbled. So I don't know if it was part of the incident or not. We had VHF. Some of the birds didn't have the two radios, and I recall it was always hard to transmit and receive on UHF because everybody prefers VHF civilian-wise, but we tried to receive on the VOR and transmit on UHF, et cetera, Fox Mike, the whole thing, and we couldn't get contact until very close to Cleveland. Whatever the reason, those radio issues clearly won't save this case. There are basically too many conventional explanations to choose from. "And, I would think that the FAA would be interested in what would be termed a near miss. Since the Disposition Form (which is a DoD document) had been created, they should have been some sort of follow up." If the local FAA chief couldn't even tell where to report, why would they have investigated if Coyne filled an army form? And why wouldn't Coyne know or tell about that if it ever happened? And why wouldn't anyone be aware of it already? FAA investigations are not classified, right? "And the last F-100 had landed at 10:47 p.m."
"Zeidman reported that all the high performance aircraft had landed prior to the sighting, so that might have been, and might be, a way of seeing if any of the tankers were airborne at the time." So the last F-100 landed less than 10 minutes or so before Mrs. C. initially saw the light. Which would make it plausible that they for example had just practiced refuelings and the slower tanker was still on the air and heading to that Refueling Group base at Columbus. F-100 used probe-and drogue-system, like helicopters, so the same tanker would suit both. And if the tanker was there for some other purpose, the situation with Mansfield's F-100s doesn't reveal much. "I do however think that the example you quote of Eastman's experience is very consistent with the results of the Padfield and Turner paper. Note he did not get pushed up to higher altitudes when in the updraught part of the vortex, but actually found he could maintain position with less power due to the additional uplift provided by the vortex." Obviously he was actually trying to keep it in place, unlike Coyne, who apparently didn't even look at his altimeter for a few minutes. I hope others can also appreciate the irony of pointing out the effects of gravity here while this has been commonly attributed to anti-gravity or something, but obviously it is easier to control upwards movement by reducing power than downwards movement when additional power may not be even available anymore. If a helicopter would just maintain the same power, and the air itself would began moving upwards, the net effect would be movement upwards, right? That's all it would have taken. "Am I right in thinking that one of the issues in this was that the helicopters of that time had to fly more or less at maximum speed and the tankers at quite close to stall speed?" That's right, and that's why they even had refueling procedures for the helicopters to began a dive when the tanker catches them, as that could have been the only way for them to gain enough speed. So that dive by Coyne wouldn't have been a surprise for the tanker crew. Once the helicopters were in the position, that draught from the tanker helped and they didn't need that much power to maintain that speed. "The following link is again a military thesis on the history of helicopter air to air refuelling. In Chapter 5 it notes that night vision technology meant that the first night time AAR of a helicopter in the USA was in 1985"
Nope, Eastman did dozens of night refuelings already between 1965 and 1967, as I quote in my blog. In 1967, two helicopters already flew across the Atlantic with 9 in-flight refuelings over a period of 30 hours, so at night too, also quoted there with sources. "Refueling aircraft follow elongated racetrack orbits at relatively high altitudes." Yes they do, when they are refueling planes, but helicopters are refueled lower where they fly, and the stated refueling altitude envelopes for those tankers extend down to 1000ft. I have been trying to find information if there actually was an established refueling track at that position (especially one suited for helicopters), but haven't found it yet. It is very much possible that tanker was following just such racetrack, but obviously it could have also been some temporary arrangement, training or such. I know that at least a couple of years ago, maybe still today, there was a refueling track on the other side of Mansfield with that same direction as that tanker and Coyne were flying. Since those airports in Columbus and Cleveland have more civilian traffic now than they did in 1970s, it would seem logical that there could have been a military refueling track back then, but it would have been moved to clear the airspace for civilian traffic. "I was wondering why the refueling aircraft didn't break off the attempt when it couldn't raise the helicopter on the radio. There has to be coordination between the two aircraft, but there was nothing said. Once the refueling aircraft was in the area and spotted what they thought was the helicopter, they should have attempted radio contact. This activity would have been coordinated long before the two aircraft were airborne, so it seems to be unlikely for the refueling aircraft to approach so close to the helicopter without radio contact between them..."
There are several possibilities, one of which you just mentioned. Maybe the tanker did coordinate that before, with someone else, and just mistook Coyne for it. They wouldn't have needed to contact Coyne, as they would have thought it was already coordinated. Also, since those refuelings are also done at night with comms out in hostile environments and such, those procedures need to be practiced as well. Could have been one of those. Then there are procedures for signaling with the help of various lights tankers have, for example when the radio can't be used or doesn't work. And again, remember there actually was a similar kind of accident just a year later. They didn't just end up close without radio contact, they actually collided. There is no evidence of a refueling aircraft in the area. If there was none, then the theory is rejected. Since this was a night mission over Ohio and not a combat operation requiring some sort of radio silence, there is no reason for the tanker to have remained silent when it spotted the helicopter. When they were unable to raise the helicopter on the frequencies assigned for the mission, they would have made a call on guard, and when that failed aborted the mission. They can practice the procedures without having to maintain radio silence... and they could practice without radios in the daylight to decrease the risk. We still have the unexplained climb that had to last about 108 seconds, if I remember Zeidman's calculation correctly... that is too long for the wing tip vortex, which, BTW, dissipate with distance and spread out, away from the aircraft as that vortex falls away. I still maintain that Jezzi's claim of hitting a thermal and being unable to check the ascent is inaccurate. I'd like more information about it, but I'd guess that once the collective was in the full down position, the climb would have been arrested and the instrumentation, which might have still registered the climb, had not caught up with the changing altitude of the aircraft. According to the witnesses, the night was crisp, starry with no moon, but that doesn't mean that the helicopter, or the refueling aircraft for that matter, would have been invisible. Given the nature of the mission, it is likely that the intelligence officer, on the ground, during his portion of the pre-flight briefing would have provided silhouettes of the helicopter with which they would rendezvous... and those helicopters that have the capability for inflight refueling look nothing like the UH-1H flown by Coyne. It seems likely, at that point, they would have figured out it was the wrong helicopter and had no need to approach so closely. There are no reports of another helicopter in the area by anyone... and if there was a refueling aircraft there, then another helicopter is necessary because it clearly was not the one flown by Coyne. But I maintain, without some evidence of a refueling aircraft in the aircraft, even if it wasn't there are the exact time of Coyne's experience (but it has to be in the area close to the time), the theory fails. ..agree with Kevin: the "smoking gun" of Parabunk's theory, the refueling aircraft and helicopter are entirely missing. The burden of proof clearly lies with Parabunk to provide evidence of their existence or the theory simply falls flat. seem to be available. If anyone is interested I can send the 1993 edition. It is 266 Kb. My email is fortean1@mindspring.com . I thought I already posted this at the same time as my other messages, but I guess I forgot, since I don't see it here. I hope others can also appreciate the irony of having to point out the effects of gravity here while this has been commonly attributed to anti-gravity or something, but obviously it is easier to control upwards movement by just reducing power than downwards movement when additional power may not be even available anymore. If a helicopter would just maintain the same power, and the air itself would began moving upwards, the net effect would be movement upwards, right? That's right, and that's why they even had refueling procedures for the helicopters to began diving when the tanker catches them, as that could have been the only way for them to gain enough speed. Once they were in the position, that draught from the tanker helped and they didn't need that much power to maintain the speed. "There is no evidence of a refueling aircraft in the area. If there was none, then the theory is rejected." Ditto for the whole incident? There is no actual evidence of a UFO in the area, right? With the same logic, if we don't have that, the whole incident fails, and there's no reason to expect there was anything there, right? "there is no reason for the tanker to have remained silent when it spotted the helicopter. When they were unable to raise the helicopter on the frequencies assigned for the mission, they would have made a call on guard, and when that failed aborted the mission." So I gather you just chose to ignore the fact that a similar incident actually led to a collision just a year later, like you seem to have ignored a number of points I have made. We don't know the reasons why it happened, because we only have witness testimonies that do not reveal it, but there are multiple possibilities, instead of something that couldn't be explained. "We still have the unexplained climb that had to last about 108 seconds, if I remember Zeidman's calculation correctly... that is too long for the wing tip vortex, which, BTW, dissipate with distance and spread out, away from the aircraft as that vortex falls away." "I still maintain that Jezzi's claim of hitting a thermal and being unable to check the ascent is inaccurate. I'd like more information about it, but I'd guess that once the collective was in the full down position, the climb would have been arrested and the instrumentation, which might have still registered the climb, had not caught up with the changing altitude of the aircraft." So are we dealing with unreliable witnesses now? "I have had a Wessex 2 in autorotation while cliff winching on the N Devon cliffs. The winch op wanted "down 1" and the only way I could descend was by slightly yawing the helicopter as the collective was on the down stop!!" "Given the nature of the mission, it is likely that the intelligence officer, on the ground, during his portion of the pre-flight briefing would have provided silhouettes of the helicopter with which they would rendezvous..."
So now you actually know the nature of that mission? What was it? "those helicopters that have the capability for inflight refueling look nothing like the UH-1H flown by Coyne. It seems likely, at that point, they would have figured out it was the wrong helicopter and had no need to approach so closely." At what stage? When they initially saw it on their side, something like a mile away in darkness, or from behind, in darkness? "There are no reports of another helicopter in the area by anyone... and if there was a refueling aircraft there, then another helicopter is necessary because it clearly was not the one flown by Coyne." We don't actually know why it happened. It might be that the other helicopter was for example in a wrong place, or was there earlier or later than expected, or there was some other reason for the confusion. And people generally do not report helicopters they have seen. We know that in that another incident there was confusion on the location, and a fighter jet with trained pilots/observers mistook a relative small Power Company owned twin turboprop Rockwell Turbo Comnder as a large KC-135 tanker that has 4 turbojet engines. They couldn't figure that in the darkness, and even when they collided, the pilot still thought he collided with a tanker. Pilots reported good visibility and there were no clouds at their flight levels. So there goes your theory on silhouettes being so easy to identify. "But I maintain, without some evidence of a refueling aircraft in the aircraft, even if it wasn't there are the exact time of Coyne's experience (but it has to be in the area close to the time), the theory fails." No it doesn't. Theories don't fail on lacking some unavailable information, they fail if there's evidence to the contrary, and you haven't provided any. 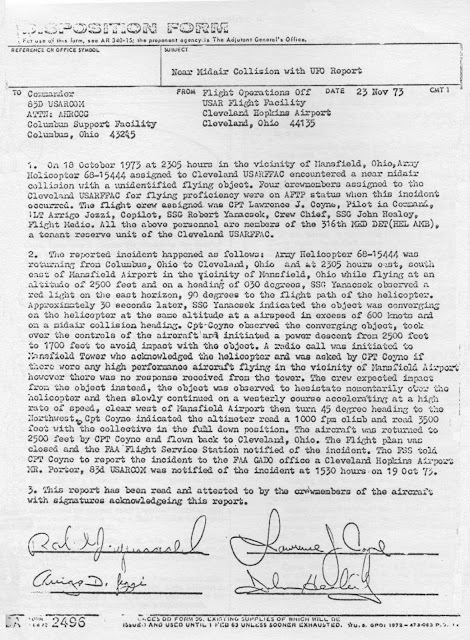 It simply lacks that kind of confirmation, or testing of that aspect, since we simply do not have any documentation that would give any indication what was in the air at the time, apart from Coyne's statement that all the F-100 fighters from Mansfield had landed, less than 10 mins before the plane was first seen. You might as well try to claim that the other refueling accident didn't happen if I managed to delete all copies of those reports that say it did. It's telling how eagerly people try to make all sorts of claims how the explanation fails, mostly on reasons for which I have already shown in the original text that it doesn't. I haven't really received a single serious challenge to any aspect of it since I published it, it hasn't failed on anything, it has just kept getting stronger. It's obvious that most just don't want to have explanations for these cases, but rather try to cling on any remaining detail or excuse to keep alive their hopes for aliens. And that seems to be the case for at least the vast majority of the so called best evidence for UFOs. Well, if you would like a serious challenge, then provide the documentation that there was any sort of refueling operation or refueling exercise in that area at that time. Speculation on what you perceive as the track made by a refueling aircraft as it approaches the helicopter is not evidence that this is the answer. Without any sort of documentation, even testimony from flight crew who would have been on that aircraft would be enough to suggest that this might be a legitimate answer. Rather than demanding that I prove there was no refueling operation (which I say there wasn't based on this lack of anything other than speculation), you must provide evidence that it existed. And if you believe that such an operation, whether an actual mission other than for training, would have gone forward without sufficient preparation including briefings on the weather, radio frequencies to be used, types of aircraft involved, and a dozen other aspects of it, then you don't understand the military mind on this. And the continued argument about thermals, which you have ruled out yourself, is pointless. There were no cliffs for the thermals, and I'm not sure that you understand the physical working of the helicopter, the effects of thermals on them, or what is done to arrest the sudden updraft. But they, you said it wasn't a thermal, so we really don't need to revisit this. So, you theory fails because you haven't provided the evidence of the refueling operation... in fact, if I understand, you haven't even looked because it would be too difficult, too time consuming, and you're not sure where to look. The basic premise is that there was a refueling aircraft in the area but you don't know that and can't prove that. Do you really believe we need to go any further? BTW, since this case was national news, why have we no witnesses from the refueling aircraft, or, for that matter, from the organization that would have been responsible for it? In other words, why have none of them ever come forward with their information? I lied, I'm back to agree with Kevin. I don't think even most skeptics (and I consider myself to be one most of the time) can accept the tanker claim without some proof there was one flying in the vicinity of Coyne's helicopter at the time. If the claim is to be made that the incident finally has been satisfactorily explained, then conclusive supporting evidence must be provided (flight logs or other official documentation, other eye- or ear-witnesses reports of the tanker because most military aircraft make enough noise to rattle crockery and sometimes shake a house - this is firsthand experience talking, I live very near a military air base). None of that is presented. More substantial research must be done in order for the tanker explanation to be widely accepted by believers and skeptics alike. It's an interesting "what if" scenario, but as presented it remains little more than that. "All aircraft sorties/missions have a paper trail"
In which Mr Parabunk will answer: But this random navy guy on reddit says otherwise and NOT everything ends up in the records and ofcourse those F-4 pilots on Operation Nickel Grasswere were told to just fly and not ask any questions, it fits with my initial ideas therefore my refueling aircraft theory stands correct and keep getting stronger and stronger. "There is also the possibility that having that big chunk of metal with four engines and all on top actually caused some radio issues..."
I’m beginning to think there may be an additional factor here that we haven’t previously considered which might be important, and that is air pressure. This might mean a modified form of Parabunk’s hypothesis is worth looking into rather more deeply. First of all, thanks to Kevin for pointing out that the altimeter was of a mechanical design. It would have used air pressure to generate a measure of altitude. Now, the following is just a tentative idea and I’m putting it out there to be shot at, but the following scenario MIGHT be a possibility. Let’s suppose there was a large aircraft on a collision course, more or less on the flight path suggested by Parabunk. Coyne begins to descend, avoiding a collision, but only just. The helicopter passes into the wake turbulence from the large aircraft in the updraught. The large aircraft is travelling faster than the helicopter and pulls away on almost the same heading (does this imply a turn by the large aircraft…? There is an a discrepancy here with the description of the departure of the object to the west). In the updraught the rate of descent of the helicopter is slowed. In the accelerated air in the vortex we would expect air pressure to be lower (from Bernoulli’s law, but in practice it is rather more complicated than that). This would give a false reading on the altimeter (question – what scale of effect might be possible?). If the approach of the large plane was on an almost parallel course (as in Parabunk’s model) the large plane would pull ahead of the helicopter. The wake vortices would descend over time (typically at several hundred feet per minute). The net effect could have been to keep the slowly descending helicopter in the vortex for longer than might have been expected as the distance to the large plane increases. Coyne then adjusted the collective, with the helicopter then climbing up through and out the top of the vortex, with the crew noting a bump and turbulence. As Kevin has pointed out there can be a lag in the reaction of mechanical altimeters (hysteresis error) and there are other possible types of error in the altimeter related to abrupt changes in vertical direction and airflow that might be complicating things further. The altimeter may therefore have continued to register a climb for a short time. Returning to ‘normal’ air the altimeter begins to adjust back to a more accurate reading as Coyne brings the helicopter back to 2500 feet. a) What is the typical range of pressure differences in wing / wake vortices compared to undisturbed air (for plausible aircraft types) and could this be large enough to produce this type of effect on the altimeter? b) Does this have to be a refuelling tanker (from the discussion of the lights)? If so what was it doing at night in 1973? At the moment it looks to me that night time refuelling of helicopters was not used operationally (and then by Special Forces) until the mid-1980s (noting the experimental / testing type examples given by Parabunk of earlier examples). Is this wrong and if so where is the evidence for that? c) Is there any paper trail of a large aircraft in the area? The basic motivation for this suggestion is that this large ascent is (as far as I’m aware) unique in the literature. We don’t see examples of planes, cars, people, cattle etc etc. flying off in all directions. If the altitude change was due to a noticeable variation in air pressure then it could fit together. "Do you really believe we need to go any further?" I'm really not sure, since you don't actually even seem to read many of my answers, or just choose to ignore them. "And the continued argument about thermals, which you have ruled out yourself, is pointless. There were no cliffs for the thermals, and I'm not sure that you understand the physical working of the helicopter, the effects of thermals on them, or what is done to arrest the sudden updraft. But they, you said it wasn't a thermal, so we really don't need to revisit this." "I still maintain that Jezzi's claim of hitting a thermal and being unable to check the ascent is inaccurate." "I can recall flying an A model Chinook with a sling load of howitzer ammo....about 13,000 pounds worth....with the Thrust Lever (Collective) full down....airspeed heading towards Vne....and the VSI was somewhere up about the peg....fortunately we flew out of that updraft into some sinking air"
"There is no way for the aircraft to climb with the collective fully down, other than to pull back on the cyclic"
Well, other pilots tell us that's not true. The point is not thermals, but simply that enough upwards airflow can cause that, be it because of thermals or wingtip vortexes. So are you still claiming that all the helicopter pilots that have claimed a helicopter can climb with the collective fully down just because of the updrafts, whatever caused them, are wrong, or can't interpret their instruments? "At the moment it looks to me that night time refuelling of helicopters was not used operationally (and then by Special Forces) until the mid-1980s (noting the experimental / testing type examples given by Parabunk of earlier examples). Is this wrong and if so where is the evidence for that?" What exactly is the point? If those guys routinely tested/trained night refueling in the 60s, they couldn't do the same in the 70s, because...? I was referring to the specific circumstance in which Coyne and company found themselves on that specific night. You insist on continuing a point that has no relevance to the case at hand. You, yourself, have said that thermals were not the cause of the climb in this circumstance and yet you continue to search for cases in which helicopters, in thermals, have caused a gain in altitude. Does this have anything to do with the Coyne case? That was my point. That clarifies what I was saying. There were no thermals and there is testimony that they had encountered no turbulence, which would seem to rule out the wing tip vortex that has also been suggested. Yanacsek told Tom Wertman that he didn’t remember any turbulence. "That clarifies what I was saying." Not really. You are just basically claiming that a force that is known to be strong enough to flip and drop much larger airplanes from distances of several miles couldn't lift a helicopter. You make that claim without and against the evidence from tests that have shown it can significantly affect the lift/power requirements of helicopters. "In order to collect his thoughts he moved the H-3 from directly aft of the C-130 to flying formation off of the left wing tip. Once in position on the wing tip, Eastman noticed that there was a significant power reduction for the H-3. For some reason it took roughly forty to fifty percent less power to maintain position when flying off of the wing than it did when flying directly behind the C-130. It was this discovery that made helicopter aerial refueling possible. Originally it was thought that the power reduction was a result of a decrease in dynamic pressure, much like race cars use when drafting off of each other. However, Eastman later proved in a graduate school thesis that this power reduction was a result of the vortex effect from the C-130’s flaps reducing the helicopter’s induced power requirement. The upwash from the flaps increased the helicopter’s effective angle of attack, reducing the induced drag and requiring less power to maintain the speed needed to keep up with the C-130." So what's wrong in that? And if you are still claiming the explanation is "speculation based on nothing at all", you can as well just state that the Coyne Incident never happened, since the explanation is based on all of those witness testimonies that are the only material supporting it even happened. "There were no thermals and there is testimony that they had encountered no turbulence, which would seem to rule out the wing tip vortex that has also been suggested. Yanacsek told Tom Wertman that he didn’t remember any turbulence." Except that there is testimony they encountered turbulence. Coyne stated that, when he finally managed to make them descend again, "the helicopter seemed to bump, like it hit turbulence then." Which is consistent with them hitting the edge of the vortex, which allowed them to descend again. So if you don't believe they were flying in wake turbulence then, what then caused that turbulence? And why did they climb there anyway, long after the main event? "Everybody was yelling and screaming about what the hell it was and that it almost hit us. That kind of conversation kept up for several minutes." It sounds to me that Anthony Mugan is onto something here. There’s a possibility in a modified version of Parabunk’s hypothesis, but as Mugan says more info is needed to test this out. At the same time, flying helicopters is much different than flying jet or turboprop aircraft. I’m sure Kevin’s comments have validity because he has flown them, and if Parabunk hasn’t consulted other pilots who flew this same helicopter than it must be done. Experienced pilots know the quirks that can happen better than any other pilot when it comes to their own aircraft type. Now as a pre-teen I recall this incident well because my mother pointed it out on the second page of the Omaha World Herald that year and I cut it out and saved it for many years. Having sat in this aircraft many times at just about every USAF airshow held at Offut AFB back in the day, I still have a hard time believing the green tinted cockpit glass would have illuminated the entire beam of white light (as also seen by ground witnesses) into appearing “green” as it flashed in the cockpit of the Huey. Sure, the interior was probably painted a zinc chromate green, but even still I’d have to see that done again just to believe the entire thing was “green” as reported. If they havent been assessed here, there were four more Army docs released at the time (other than the well known Disposition Form). I have more too at home from Bob Todd. Ill have to get them and PDF them. If I find US Army or FAA records (which I almost surely will) in my Bob Todd files, who should I send them to here? Paul Dean. Thanks, Paul - interesting that that was a contemporary drawing by Coyne. To try to summarise my thinking at the moment (and this is evolving as I dig into this interesting case) I think there are three main lines of enquiry that could be useful, with the first really determining which of the next two might be the more important option. 1) It is really important to lock down the probability of getting a tanker aircraft trying to refuel a helicopter (presumably thinking it was a different helicopter) at about 1000 - 1500 feet above the ground, at night, in an operational context in 1973. 2) If the answer to Q1 is that it could be possible, then we need to seriously work out if the vortex idea could work in quantitative terms, particularly if modified by considering the effects of pressure changes on the altimeter. 3) There is evidence of EM effects in this case. The spinning magnetic compass suggests the presence of a rotating magnetic field. This isn't too hard to get technically, but much harder to think how it could have arisen naturally. In this line of enquiry we still need a model of how to get the altimeter readings. I'm not at the point of dropping an EM effect on the altimeter just yet as a rotating magnetic field could potentially have induced some current into metal components. Again that would need working out as to if it is possible. Lines of enquiry (2) and (3) lead to very different conclusions, if they pan out. I'm happy to have a go at the maths but it would take me some time and I'd be much happier if there is a trained physicist out there who might be interested in this. Physics is one of those areas I know just enough about to know I don't know enough about when you get into quite complex scenarios. The first question, about the possibility of a refuelling operation (and I think Parabunk's discussion on the reasons for this suggestion means it would probably have to be a refuelling tanker rather than another large plane, unless there is another angle on this) is critical to determining if it is worth spending time working out the physics. At the moment I am in the slightly curious position of thinking that the physics could be made to work if a large plane was there but being very sceptical of the idea that such a refuelling operation could have been underway at night, at low level, with a helicopter, outside of a designated training area and in an operational context. Added to that are the known EM effects on the compass (and possibly related radio interference, but there could be other reasons for that), and you can perhaps see why at the moment I don't have a firm opinion on exactly what this thing was. Kevin seems to be digging into the question of the presence of an aircraft...Is there anyone out there who might be in a position to advise on the physics of the atmospheric pressure in a vortex question and / or the EM effects question? "1) It is really important to lock down the probability of getting a tanker aircraft trying to refuel a helicopter (presumably thinking it was a different helicopter) at about 1000 - 1500 feet above the ground, at night, in an operational context in 1973." Again, the helicopter was flying at its normal cruising altitude of 2500ft when the tanker made the approach. We can't judge their actions based on what happened at the last minute, but what the altitude was when they made the decision. Secondly, Coyne stated the altimeter displayed 1700ft when he saw the object in front and top of them. And lastly, what "operational context"? Do you actually know if it was part of some training, testing, that ongoing airlift operation, or something else? You also didn't answer what would prevent them from doing similar kinds of night refuelings in the 70s that they already did routinely in the 60s (be it testing, training or whatever)? "2) If the answer to Q1 is that it could be possible, then we need to seriously work out if the vortex idea could work in quantitative terms, particularly if modified by considering the effects of pressure changes on the altimeter." I don't really understand what you are trying to achieve with the addition of possible altimeter effects? We know Coyne descended before the encounter, and that they were higher after that. Unless you are actually trying to explain the entire altitude change with altimeter errors, there's an actual altitude increase that needs to be explained anyway. It's a well known and experimentally verified fact that those vortexes are powerful, even from long distances, let alone from something that was flying just above. It's also experimentally tested that they can reduce the required power to maintain the same position by up to 50%. So if there's considerable upwards airflow and hence reduced power requirements, but Coyne didn't adjust the power or follow his instruments, isn't it kind of obvious what that leads to? The conditions were close to optimal for the generation of strong vortexes: large heavy aircraft at slow speed with calm weather so the winds wouldn't disperse the vortexes. Since that tanker would have began to climb towards its normal altitude upon leaving, it would have basically created a rising path of vortexes for the helicopter to follow. Additionally we have an actual witness statement of them experiencing what seemed to be turbulence long after the main event, when they were still climbing, and finally managed to begin descending. How do you explain those other than airflows or pilot inputs? "3) There is evidence of EM effects in this case." We have statements by a pilot of that helicopter stating their maintenance was bad, radio problems were common, and even the replacement compass malfunctioned, and that one might have malfunctioned before the event as well. If there were "EM effects", their source would more likely to be at their maintenance facility. "At the moment I am in the slightly curious position of thinking that the physics could be made to work if a large plane was there but being very sceptical of the idea that such a refuelling operation could have been underway at night, at low level, with a helicopter, outside of a designated training area and in an operational context." Do you actually know that was outside of a designated training area? They were actually on or near the landing path of fighter jets next to their base, close to the home base of a refueling group, between military airports. "If they havent been assessed here, there were four more Army docs released at the time (other than the well known Disposition Form)." I have seen those, but those do not really add much to the case as the crew interviews already contain similar statements, some of which are shown to be inaccurate based on the other statements by those on the ground and by the crew themselves too. Sturrock's book only contains the Disposition Form and the report by Yanacsek, but I just noticed that it's not actually the same. The contents seem to be the same, as well as the style of writing, but some words are in different places and such. That "Crew chief" for example is on one row and the date has been first written mistakenly to that same box below it and there's a line over it. I guess he made a couple of copies/versions of it. The one in the book is not missing those parts on the left, and I can confirm that your "common sense" fixes are correct. There's also a "Red" missing in front of "light paralleling" close to the middle of the form. "If I find US Army or FAA records (which I almost surely will) in my Bob Todd files, who should I send them to here?" Me! Just add @gmail.com to my username. Have you seen any indication the incident would have ever been officially investigated? "I still have a hard time believing the green tinted cockpit glass would have illuminated the entire beam of white light (as also seen by ground witnesses) into appearing “green” as it flashed in the cockpit of the Huey. Sure, the interior was probably painted a zinc chromate green, but even still I’d have to see that done again just to believe the entire thing was “green” as reported." As you can see from those, the entire helicopter crew suspected that "greenhouse" as the explanation for that color. Jezzi didn't see it at all. Healey doesn't remember seeing the cockpit turning green and explicitly states looking at it through the greenhouse. The only adult on the ground didn't see that light at all. Additionally, at least the interviewers and most likely some of the crew also seemed to have confused that "green" searchlight with the green navigation light, which might have made some of their statements somewhat misleading. It's clear that episode with the green light wasn't quite as dramatic as it's typically portrayed, otherwise they would have at least all seen it. a. Report filed with FAA, a copy of which you have. b. Contact was made with higher headquarters and no investigation was required by them. c. No investigation was ever conducted by higher headquarters of any service. That's one side of the story. I also have found a document (a US Army letter) that very strongly indicates the USAF and the FAA, in conjunction, collected and investigated UFO cases involving airborne military assets, well beyond the end of Blue Book, which flies in the face of what we have been told. There's dozens of curious letters and memos like this, but this one is lengthy. I'll write a blog on it. Also, the famed drawing by Coyne of the apparent UFO was made at the time (ie 1973) and attached to the back of the quad-signed Disposition Statement. I think someone here mentioned that it may be a more contemporary drawing, but it was indeed made very soon after the incident. I will have to search a lot more though my old FOI files for more documents, more letter, and this "Report filed with FAA, a copy of which you have" record that Todd was apparently supplied with. Time is my problem. Never enough hours in the day. Ever. I just wrote a comment, and I'm not sure why it hasn't been posted. I think Ive clicked the wrong button thing. Paul. So apparently at least something was filed with FAA. It was already weird that the local FAA chief didn't even know where it should be reported. It's really baffling if they didn't investigate cases like this, especially since I believe it was a potentially dangerous incident between two conventional aircraft. If they had known it was a tanker, I believe the FAA would have been required to investigate it. Or what if the crew had stated they were sure it was a plane, would they have been required to investigate it then as well? Investigations are done for avoiding similar future accidents, and I wonder if there could have been something to learn that might have prevented that fatal tanker accident just a year later. I just found out that Mansfield didn't have a radar before 1982 (sources at the end of my blog post), so the closest one was probably at Cleveland Hopkins Airport, some 50 miles away. Could that have sufficient range on those altitudes in 1973? Just a very brief update. I'll come back with a fuller comment next week (either Tuesday or Wednesday I suspect). At the moment it looks like it would need an increase in the velocity of the air of around 103m/s to produce a pressure change equivalent to the difference between 1700 feet and 3500 feet, assuming a standard atmosphere. That is a highly simplistic estimate using the Bernoulli equation so should be treated with extreme caution at this stage. In reality there are steep velocity and pressure gradients within wake vortices with the highest velocity near (but not inside) the core and declining towards the edge. The vortices also decay, typically over a few minutes for large aircraft, with velocities falling away over time. In short it looks to me like the wake vortex idea is problematic in a lot of different ways, but I want to check out the complications posed by the rotation of the air mass, give a more detailed set of information on how the calculations have been done and to respond more fully on the whole issue of night time refuelling of helicopters etc. as well as giving more detail on both the question of lift in a vortex and air pressure changes. Time flies and I'll need a few days to look at all that in my spare time. I would greatly appreciate any suggestions / corrections from a trained physicist in this one if there is one out there!. Please keep me advised of any documentation you have concerning all this. You can send it to KRandle993@aol.com. If Coyne’s helicopter was NOT the target for refueling, than who’s was? I have to agree that an official paper trail for inflight refueling would have to exist somewhere. Yes perhaps it’s all been discarded by now, but even so wouldn’t it just have been easier for the military to explain away the sighting as nothing abnormal by claiming it WAS a refueling mishap? Why the silence from the other pilots and crew assuming they were actually up there? Or is it possible the crew of the refueling aircraft feared the discipline they would get making this mistake, hence they all agreed to bury their mishap and not record it or discuss it ever again? Either way the lack of paper or the belief they lied about their error is hard to believe. "...Either way the lack of paper or the belief they lied about their error is hard to believe...."
"...Why the silence from the other pilots and crew assuming they were actually up there...". Not to mention possible damage to their aircraft that they would need to explain or the possibility of witnesses on the ground who saw the encounter... or the crew of the helicopter or two that they were going to refuel in midair. And, once again, I must point out the lack of any documentation about this air refueling operation that would have had to be coordinated prior to the mission, so they'd need to explain why that hadn't happened... of the FAA documentation such as flight plans that would have put the aircraft in the area. Thank you for the files! They contained some interesting pieces of information. "We have handled UFO sightings before but never one like this. The helicopter was in an area without radar coverage at the time, he was picked up on radar further north by Cleveland. But at no time did anyone pick up the other craft." "The FAA checked out ground radio stations and none of them reported any malfunctions altho Captain Coyne could get no messages thro." "We have taken note of the report together with a sketch from Captain Coyne. But there is nothing further we can do." "If the other craft had carried identification we would track it down. But it remains completely and totally unidentified." So that confirms there wasn't a radar in Mansfield or any radar that would have covered the actual incident. It also confirms that the FAA at least tried to check that radar data, but it seems to have been pretty much all they did. So again, it seems there never was a proper official investigation. As for why the Cleveland radar didn't see the plane before or after the incident, either it didn't go near enough within their range (e.g. returned to a racetrack pattern more towards south), or it could also be that it would have been just considered irrelevant traffic. Especially since Vollmer seemed to have believed Coyne's erroneous descriptions of its capabilities, which didn't fit to a tanker. So if that Cleveland radar data still exists, there might be a chance it would show that plane some time before/after the main event. There's also a possibility that plane had its transponder off (at times), further limiting the radar range. I don't know what the protocols were in 70s, but there seems to be some procedures for refueling participants for turning those off or altering their transponder configuration for avoiding false alarms by collision warning systems. My understanding is that normally receivers should be doing that change, but since the roles are somewhat reversed in helicopter AAR in terms of who makes the moves, there might be some differences there as well. "The establishment of a Transponder Code for aircraft flying worldwide is needed, to identify to ground controllers that a pilot is indeed experiencing a UFO phenomena and that pilot anxiety can be reduced to provide safe effective flying, knowing he is under radar control." Vollmer also made this strange statement: "if the Captain's flight instruments are correct, his helicopter climbed thro the air at an impossible speed." Coyne stated those instruments showed the climb as 1000fpm, well within the capabilities of that helicopter alone, so I'm guessing Vollmer also believed Coyne's erroneous descriptions of that having happened in seconds and twisted it like that. "Trying to recall time in terms of minutes or seconds at the point of interception with this object was ridiculous at this portion of the Incident." "it is being theorized that the air surrounding the copter moved along with it"
"Finally, if it was an experimental air craft, why would the Pentagon continue sending him questionnaires to answer, asking him about his dreams and other things? Seeing an experimental air craft does not give cause for the types of questions the Pentagon was asking him: "So, I believe that this air craft that I saw, is not of this earth, or they wouldn't be so interested in what my dreams are."" "The Pentagon has been periodically sending the crew members questionnaires. Healey only answered to questions affirmatively. He has dreamt of body-seperation. This dream has had no affect on him other than a fear for his children's future. The second affirmative answer is based on a change of personality. The Pentagon's question referred to "acts of kindness toward one's fellow man."" Does anyone have better info/guesses who/which program exactly would have been sending such questionnaires between 1973 and 1975? That seems to confirm what Paul said that someone was clearly interested in those after Project Blue Book. It's surprising how hard it seems to be for many to believe someone would like to keep a simple mistake to themselves, while at the same time this subject is filled with elaborate conspiracy theories with large crowds of people able to keep the existence of aliens to themselves. This is the way I see it. From the point of view of the tanker, that event probably wasn't that dramatic or dangerous. While it's certainly possible they broke some rules (giving additional reasons to keep it to themselves), everything we can deduce from the witness statements seems to have happened pretty much by the book. Including the way they turned and maneuvered into position, configuration of lights (including what probably was the right side refueling pod light), speed and altitude being typical for helicopter refueling, and both beginning to descend when they met to increase refueling speed. "I really didn't think we would really collide, because the object was obviously completely in control of the situation." So it wasn't a near collision, let alone an UFO event for them, just a mistake of approaching a wrong target. As for why that happened, we can only guess, but in that accident a year later it was a combination of radio issues and mistaken time/location. Might be that the tanker crew didn't report it, or maybe they did, but just as something like approaching an unidentified target that was in their refueling area. So even if it was reported, it wouldn't have been a near collision or anything that would need to be investigated. "After sightings of their UFO made headlines in the News Journal the next day with 911 calls, City cops, County Sheriffs and State Patrol involvement, the MFD guys knew that if they wanted to keep their jobs they needed to maintain absolute silence about their prank." Or why would their superiors want to make that public either even if they knew? Especially if it was part of that ongoing airlift operation, for example, of which they apparently didn't want to talk too much anyway. I don't think anybody really had the need to explain that UFO event. FAA and Army Reserve headquarters apparently didn't see a need for investigation, and if that plane belonged to the Air Force, for example, it could be that nobody even asked them. So maybe it is on record somewhere in some form, but nobody really paid any attention to it. It could have been quite a different story if Jezzi would have been flying alone. He only saw the last part of the event, that white light that flew close, and probably would have noticed ending up to the wake turbulence affecting his altitude if he had stayed in controls, and not concentrating on all that was going on with the rest of the crew. There's a good chance it would have been investigated as a near collision by another (military) aircraft in that case, instead of a UFO event. Now it was described as a craft that didn't match anything that was known, in an area without radar coverage, so there wasn't much to investigate. You seem to have missed Jezzi's statement to Gerry Brown that was quoted in the documentation. He said, directly to Brown, "It was cigar shaped, a metallic gray body with a dome on top." (So you don't have to mention it, I will note that on his "Operational Hazard Report," signed on Oct 28, 1973, he described the object ((thing, apparition, phenomenon, aircraft, whatever) by writing, "Only thing sited ((sic) was a highly intense white-green trailing light."... In Ron Story's 'The Encyclopedia Extraterrestrial Encounters,' it was reported, "Jezzi reporte only a white light from the upper windows." And no, I don't know what windows he (either Story or Jezzi meant. There was also the statement from Vollmer: "... The helicopter was in an area without radar coverage at the time, he was picked up on radar (further north by Cleveland). But at no time did anyone pick up the other aircraft." I will note here that there should have been, at the very least, one other helicopter in the area, and possibly two. They are not mentioned either which suggests that all the traffic spotted on the radar was accounted for by the air traffic controllers. This information argues against the air refueling operation but does not completely eliminate it. "You seem to have missed Jezzi's statement to Gerry Brown that was quoted in the documentation. He said, directly to Brown, "It was cigar shaped, a metallic gray body with a dome on top."" And you think he severely contradicted himself, instead of just retelling what others had said? "I will note here that there should have been, at the very least, one other helicopter in the area"
"The Sigma flight was behind schedule, and as they proceeded uptrack to rendezvous with the tanker, they were 15 to 17 nmi to the right of the air refueling track centerline (outside the track-protected airspace)." So why couldn't something similar have happened a year earlier, in an area without radar coverage? To put that mistake in location into context, a similar mistake would put the correct location farther away to the other side of Mansfield, so obviously much farther than any ground observer could have seen. We don't know if something like that happened there, but we have actual documents proving mistakes like that can happen. "They are not mentioned either which suggests that all the traffic spotted on the radar was accounted for by the air traffic controllers." Since there wasn't radar coverage, there wasn't necessarily anything to spot. But where's the evidence of anyone even asking or claiming that there for example wouldn't have been a dozen other helicopters and one big and relatively slow tanker? Maybe those were just considered irrelevant traffic. After all, they didn't match the erroneous descriptions given by Coyne. Maybe they just didn't see anything that could have been able to fly at 600 knots and so on. All we actually know is that Coyne checked the whereabouts of F-100 fighters and Cleveland couldn't identify that other craft, no surprise from those descriptions and without radar coverage. Between the red & green lights on the craft and the cockpit flooded with green light. I'm with Parabunk. What's more likely? A flying saucer from another planet that happens to also use a red light on it's left side and a green light on it's right side? That also shot a beam of light into the UH-1? Or a tanker with it's red light on the left wingtip and green light on the right wingtip and it's white light from the refueling boom penetrating the green skylights on the UH-1? You betcha the US military collected, investigated, evaluated, etc UFO cases from military sources after Blue Book ended. Here (below) are a few examples (there are dozens more on file) of statements made in official documents, signed by Colonels, Major Generals, Admirals, etc. These have taken me years to collect through FOI, MDR, AFHRA finds, etc. It seems though that sending questionnaires with questions about dreams and all would be a different type of effort from those collecting UFO sightings (with possible security implications). Do you think that any of those efforts you are aware of would be a likely source for such questionnaires? Of the big PDF file I sent you guys, I didn't even read it. Is there a reference to someone in the DoD sending the crew follow-up or later questions? I had heard that claim before. What page of the PDF is it on? As for my info that various agencies and commands did UFO case collection, collation, evaluation, investigation (their words, not mine) AFTER Blue Book closed.... I know a LOT about this, and actually I don't believe many of the entities (NORAD J3, ADCOM J2, NMCC DDO, 8th AF HQ, AFWGC, AFSIA, etc) would be the ones sending forms to the crew in 1973/74. These agencies and commands were/are real-time, operational entities that perform tasks and missions as needed, on the spot, giving orders, managing the forces in the field, assessing threats quickly. Unlikely the sort of folk who would be lolling around months later sending Coyne and his men belated question and answer documents. However, there are a few other lesser known agencies and mid-level echelon commands that may have been behind this business. Kevin can tell you about the re-organisation of the 4602 AISS, through the ages, until in the 1970's it was the 7602nd Field Activities Group, with its tightknit HQ located at Ft. Belvior. They had various components that leant heavily towards human intelligence (HUMINT), technical intelligence (TECHINT) and other slightly more unusual areas of exploitation of information, collection of field data, the creating of processed reports, etc. The 7602nd FAG were responsible for Project Moon Dust (which was less of an official "project" by then, and more of what we call an "activity"). Look it all up. Anyway, in the Moon Dust role, and some other areas of foreign and domestic activities (like debriefing pilots from Eastern Bloc nations who were attempting to defect to the West), the 7602nd FAG did indeed "do" UFOs. They interrogated pilots about UFOs. They matched suspected re-entering space debris impact areas with reports of UFOs. 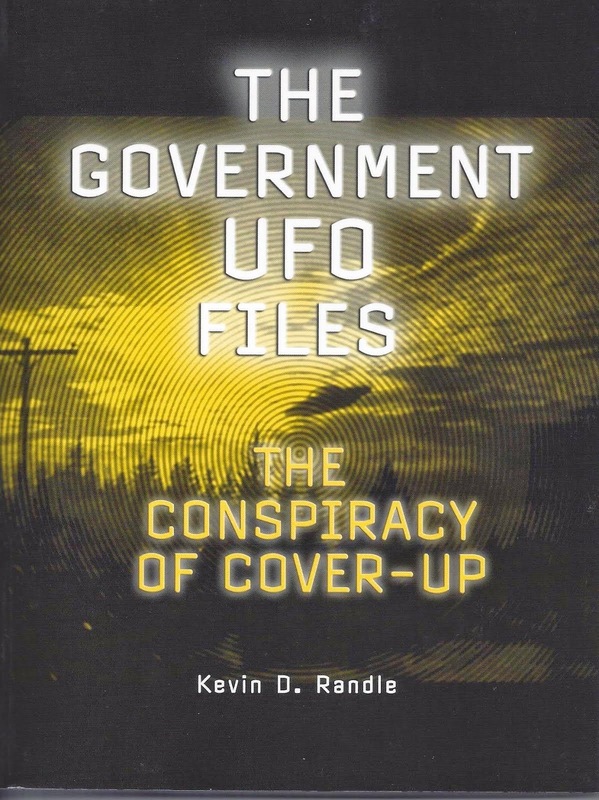 They questioned Thai and Cambodian militia and refugees about UFOs. They were on the distribution list for State Department messages/signals when foreign allies were dealing with outbreaks of apparent overflights of.. you guessed it.. UFOs. I could go on and on and on and on. We have the paper work. There are great big "Command Chronology" publications numbering in the 100s of pages that lay out some of this. There are "History Publications" - written for the Asst. Chief of Staff, USAF which we can use to join the dots too. So, is it possible that men and women from the 7602nd FAG routed a series of questionnaires through someone else in the DoD to the Coyne crew? Sure. I'd say its possible. Intelligence Processing System Spport Activity (NIPSSA).. And that's were I think UFO reports were electronically received, and moved about between cells of two man teams, and obviously analysed. I have all this stuff encircled around me on desks and even piled halfway up the walls. There is a whole world of post Blue Book UFO/military involvement. Basically, we know 1% of it. I am sure of that. I'm off topic as usual; and you are all bored now with all this nebulous and acronym filled dialogue.. Bottom line: I wouldn't be surprised one bit if a HUMINT or TECHINT team were dealing with the Mansfield, Ohio case. But its quite likely, believe me. "The Pentagon has been periodically sending the crew members questionnaires. Healey only answered two questions affirmatively. He has dreamt of body-seperation. This dream has had no affect on him other than a fear for his children's future. The second affirmative answer is based on a change of personality. The Pentagon's question referred to "acts of kindness toward one's fellow man."" Could I ask if the documentation you refer to (with questionnaires sent in the 1970's) is available anywhere on line. It would be interesting to see what people were investigating at that time. Apologies if the answer should be obvious. It is not a well known incident, but at about the same time of the Coyne encounter, a State Police helicopter in Delaware encountered and chased a UFO. The incident was reported on TV and in the Wilmington News Journal and Philadelphia Inquirer and/or Bulletin, but there is a charge for accessing their articles. It was stated tht the top of the heli windscreen was tinted green , hence the green light inside the cockpit .the problem with that is that there were several witnesses on the ground thst stated the light eminating from the object above the hdlicopter was green and eluminated the ground with green light also .pretty big job for a tinted windscreen to do . The conjecture that white light penetrating a green tinted windscreen accounts for the green light in the helicopter leaves out an important fact .there were several witnesses on the ground who stated that not only did green light eminate from the object but that it aldso illuminated the groud in green light .hard to bbelieve a tinted wwindscreen plaayed a role in green light bathing the ground .